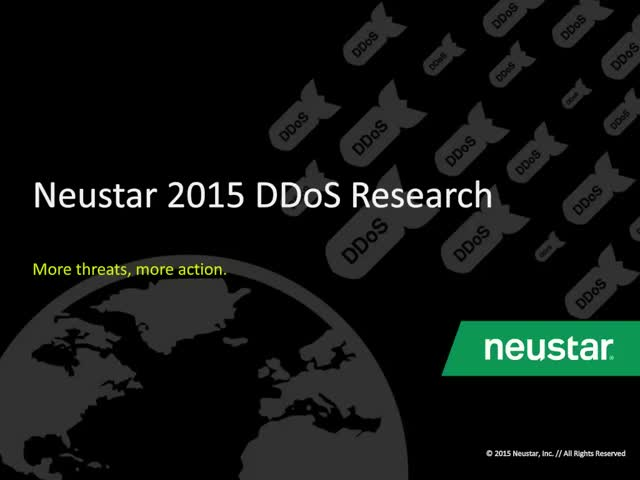 Neustar, in its annual DDoS Attacks Report shares critical DDoS trending data from real companies from across industries. Learn how companies are ramping up DDoS protection tactics and why. Cyber security threats are persistent and constantly evolving. A vulnerable website puts a business’s reputation – not to mention its revenue – at risk. In this webcast, Reynold Harbin, VP of Product Management for Neustar, discusses exclusive new IDG research about DNS deployments, the importance of robust DNS security, and the best way to defend against a rising tide of threats. This year has brought profound changes to the security landscape, especially in the area of Distributed Denial of Service (DDoS) attacks. Aside from the traditional saturation objectives of such assaults, DDoS attacks are increasingly used as cyber “smokescreens” to mask more intrusive and more destructive penetration operations. Join Neustar and media leader, Cox Communications, in a forward-looking discussion on what you should consider to safeguard your business in 2015. Neustar is the pioneer and industry leader of real-time, cloud-based information services and analytics. We help marketers PROMOTE their businesses and IT/security professionals PROTECT them.